Mimi’s Sugar is a pretty mare and a lofty, beautiful mover and very well bred. She has great potential as a sport horse or for breeding. She has been a good hard trying racehorse, with 5 wins and 18 top three finishes in 33 starts. She has been sparingly raced each year, so there isn’t a lot of wear and tear on her, and she has a lot of athletic years ahead of her to give to a new discipline. 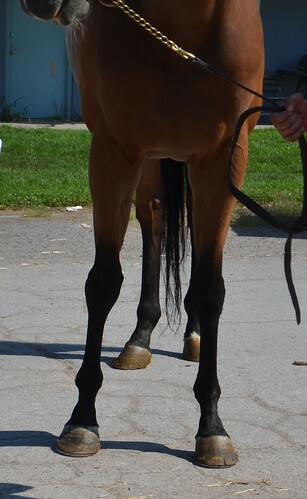 She had one start in 2017 last October, and has spent most of her time in the last year and a half hanging out on a farm babysitting youngsters, but that race last fall makes her fully RRP eligible for 2019. 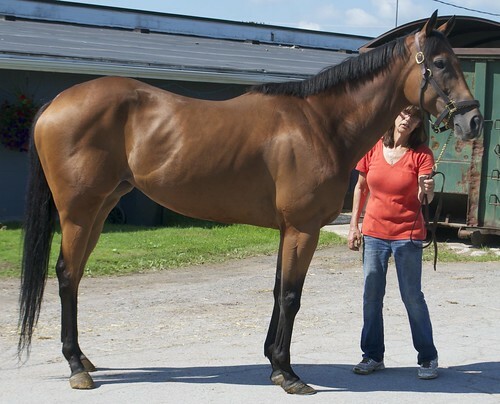 Her owner/trainer says she is good to handle , is good in turn out with other horses, and has no vices. She does need to be sedated for the farrier, and she will not tolerate back shoes, but she is reported to be fine about having her feet picked up and picked out. For her trot video Mimi showed off an athletic, big strided, very flashy ground covering trot, with impressive push from behind and flat kneed reach from her shoulders. She hadn’t done anything but walk for the past few weeks since her trainer decided to stop on her, so she was fresh, but respectful of her handler. With her movement we can see dressage or eventing in her future. Her pedigree offers excellent broodmare potential for racing or sport breeding. She is by Pure Prize, a son of Storm Cat and the Hall of Fame champion mare Heavenly Prize. Her dam is by Broad Brush out of an In Reality mare. 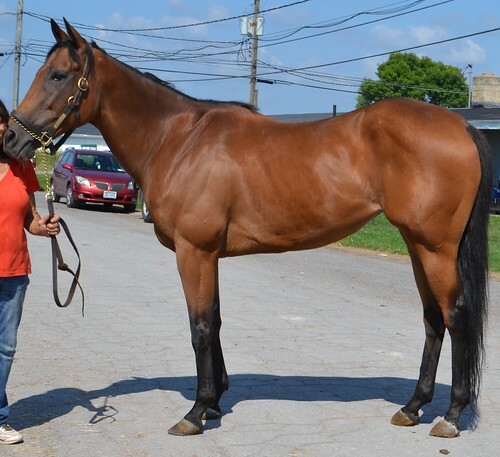 She has a half sister who is a multiple stakes producer, including of a graded stakes winner. 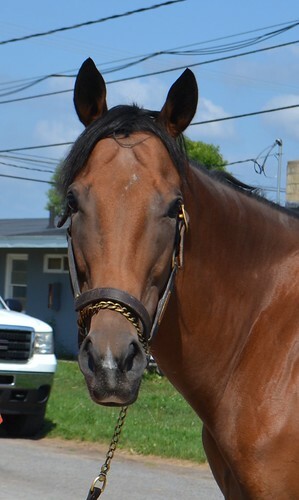 Her second dam is also a multiple stakes producer, and several of her daughters are graded stakes producers, including the dam of 2009 champion filly She Be Wild, and the dam of a Canadian champion, and the dam of a grade 1 stakes winning NY champion filly. Her third dam is also a stakes winner and stakes producer. There is lots of quality black type in this female family. Contact: Denise Cotone — cell number from early morning until early afternoon when she is at the track: 813-531-0662; or home phone landline from early afternoon to early evening: 315-210-6546 (she does not have cell service when at her home farm).